Children everywhere deserve the opportunity to learn, which is why we are committed to assisting children in their pursuit to receive an education. We provide the necessary tools and resources to families and teachers. We provide economic empowerment through skills-enhancement activities and trainings so that the families we serve can reach their goals of self-sufficiency and safety. Transforming impoverished areas across Asia into self – sustaining communities is our goal. Communities are empowered as we provide them with the skills, training and support needed to effect long-term change. To date, we have helped 154,000 families rise out of poverty and impacted over one million people. We work with local churches, indigenous community initiatives and evangelistic groups to help them establish a relationship with Christ. We have assisted in the planting of hundreds of new churches every year. Emerging from decades of civil war and unrest, Cambodia is a kingdom of wonder. 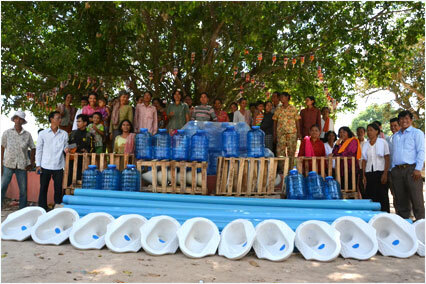 Asian Outreach provides hope and opportunity to needy villages in three provinces. Thailand is home to The Centre – a place for Thailand youth to gather and learn. The Centre offers educational programs such as TESOL, ESL, cooking classes and English. By working in conjunction with the church, Asian Outreach is providing practical assistance to empower the next generation in Vietnam. AO is working to enhance the lives of the Vietnamese people through educational programs such as English, skills training, micro-enterprise and much more. Landlocked between Russia and China, Mongolia has a rich history and vibrant culture. Since the early 1990’s, AO has provided social, economic and spiritual assistance to empower Mongolians to lead productive lives and contribute to the development of their nation. 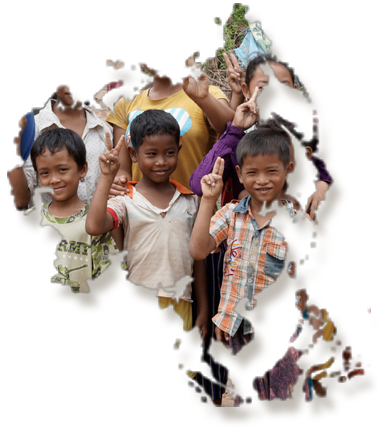 Asian Outreach NA needs your help to bring the vital essentials of clean water and sanitation to the children of rural Cambodia. Water-borne illness, lack of sanitation, and poverty negatively impact the lives of children throughout Southeast Asia and the children of Cambodia continue to suffer. Asian Outreach has been changing lives, transforming communities and impacting nations for decades. Take a moment to watch our videos to learn more about our mission and hear how we’ve affected the lives of those we’ve served. Follow us on Facebook to see photos, and receive updated information! Also, subscribe to our YouTube channel for access to video testimonials, and much more. Asian Outreach depends on donations from individuals, churches and foundations to support our pioneering and sustainable social and spiritual programs. We are looking for partners like you who grasp the vision, the urgency in Asia and want to see the love of Christ transform lives, communities and nations in Asia. None of us has all the resources needed to meet all the needs there are. But when we take what we have and use it to make a difference in the world, we have stepped beyond ourselves to the world of others. Your donation to one of these projects is also an act of faith in us. We are humbled by your trust and pledge to handle your donation with integrity. © Copyright Asian Outreach North America 2019. All Rights Reserved.